New research shows avocado seed husks contain over 130 compounds, some of which aren't found in other parts of the fruit. When it comes to the culinary uses of avocados, things are pretty cut and dry: skin = bad, flesh = good, seed = bad. But though we may only eat the delicious middle green part of an avocado, that giant pit may have more uses than previously thought: A team of scientists has discovered the fruit's husk is packed with potentially valuable compounds. Avocado seed husks have often been viewed as one of the most disposable parts of an avocado: The seeds themselves can be pressed for oil, but even then the husks are thrown away. However, recent research by Debasish Bandyopadhyay, a chemist at the University of Texas Rio Grande Valley, determined those husks actually contain more than 130 compounds, according to Forbes. Docosanol, lauric acid and heptacosane might not sound like much to the layperson, but those molecules are known to fight cold sores, raise good cholesterol and potentially fight cancer respectively. Granted, the first two compounds have been found in other parts of the avocado, however, the last one isn't found in avocado flesh, illustrating the seed husk's untapped potential. 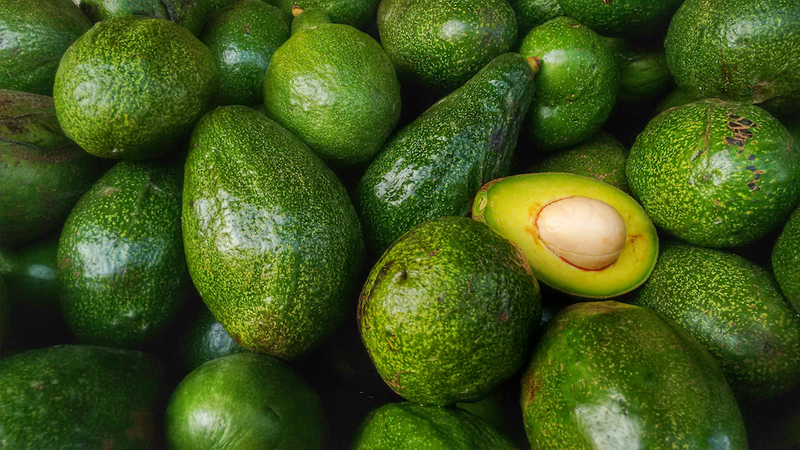 "It could very well be that avocado seed husks, which most people consider as the waste of wastes, are actually the gem of gems because the medicinal compounds within them could eventually be used to treat cancer, heart disease and other conditions," Bandyopadhyay was quoted as saying by American Chemical Society (ACS), which hosted the national meeting where his research was presented. Bandyopadhyay says his team found a number of molecules that could be useful in other ways as well. "Our results also suggest that the seed husks are a potential source of chemicals used in plastics and other industrial products," he continued. And beyond the more obvious uses, Bandyopadhyay believes that some of the molecules they uncovered might become even more useful if they were modified into other compounds. Overall, the ACS said it believes avocado seed husks could be "a gold mine"—except in this case it'd be like finding a gold mine in an abandoned part of Disney World. We're already totally here for avocados. What's the Deal With Pitless Avocados?